Between the holidays I spent a lot of time visiting family and friends. One my travels I made the time to visit some folks I call friends. One of those happens to be Jared Herman the founder of Oldetown Historic Landscape of Fredrick Maryland. I had only had the opportunity to chat over the phone with Jared a couple times. I meet up with him at his great office space in a the lower part of a historic building in Fredrick. 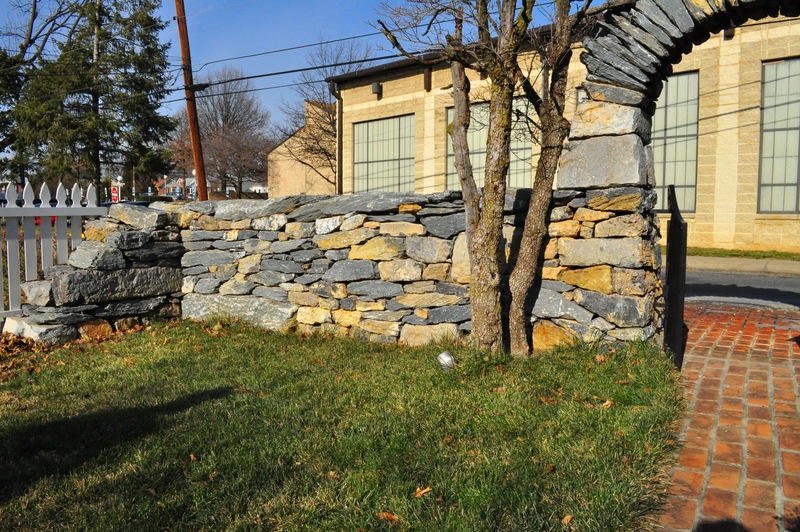 The white painted walls of old stones give a warm cozy feeling with the vivid moss green non stone walls. We sat at his non polished irregular granite table held by one large stone from the middle. With that sense of balancing stone art. We talked for some time - then he was kind enough to show me around town at some amazing jobs him and his partner have done. What a great way to spend wintery days with new stone friends. The one thing that really sets Jared's work aside is he spends the time to cad all his layouts and designs. The benefits are with Monster Stones he makes no mistakes when they are being places with cranes which cost $$$ per hour. I had another friend who was using a free program from Google called SketchUp. Jared suggesting spending more time learning the program which as he points out works both as a great selling point to clients seeing jobs, but at the same time can take the guess work out for material costs and employee guess work when laying out the job. A road map one could say. 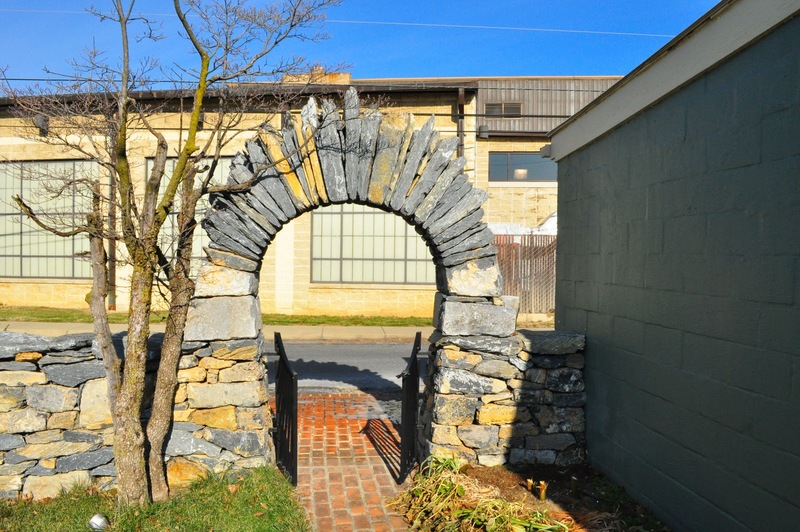 This stone arch is built out of reclaimed Lime stone. With some cuts in the lower. He was looking for that old farm wall feel. I haven't seen to many of these in KY USA.